Together with Romaco Macofar, PPS supplies a number of different filling solutions for liquid substances, including for aseptic liquids. Liquid filling equipment can be integrated into secondary packaging systems or other integrated solutions. PPS also supplies different solutions for washing or sterilizing bottles, vials and other equipment. Romaco Macofar and PPS offer a range of liquid filling solutions for different industries. 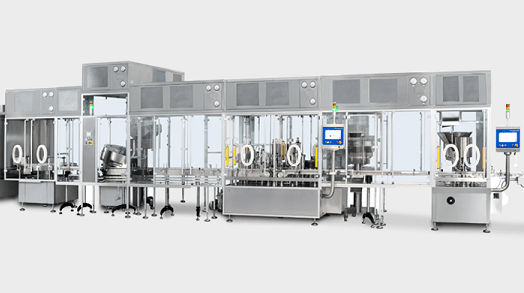 The high degree of automation optimizes the overall equipment effectiveness (OEE) of the liquid filling systems. The filling machines can easily be combined with secondary packaging solutions. High quality pharmaceutical, nutraceutical, and cosmetics liquid filling solutions. Compatible with a wide selection of capping or other closures. All equipment is modular built and can be individually configured. 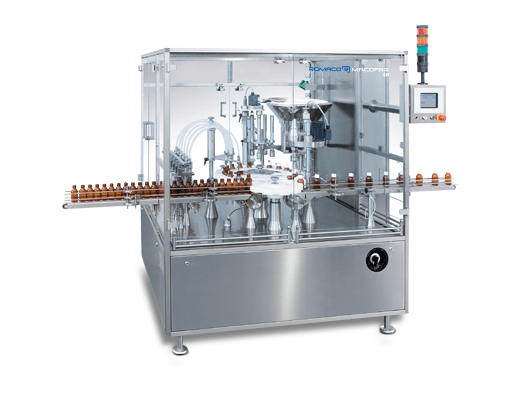 The sterile liquid filling machines from Romaco Macofar can be configured as integrated solutions with selected upstream and downstream systems. The sterile filling systems offer efficient and reliable operation with high barrier protection. 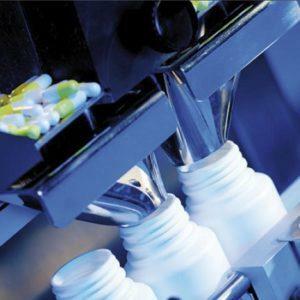 Filling solutions designed in compliance with GMP. Closing station can be integrated or as a line component. Together with Romaco Macofar, PPS supplies a number of different filling solutions for liquid substances, including for aseptic liquids. Liquid filling solutions can be integrated into secondary packaging systems or other integrated solutions.